Always the bridesmaid but never the bride, Gov. Hickenlooper is once again being courted by the Clinton cartel and his name is being dropped in Beltway circles as a contender for the Interior secretary post, Politico is reporting. This doesn’t come as a surprise to us, we’ve been predicting that for weeks. Our morning coffee spew was provoked by Hick’s competition for the job, former U.S. Sen. Mark Udall. Hillary has decided to refocus her campaign and make it all about climate change, because that’s what Washington insiders think Americans are worried about as they desperately look for jobs, pay their bills, struggle to get health insurance, or keep their small business afloat through a flood of federal regulations. That being said, it should come as no surprise that Udall’s name has surfaced among the flotsom. 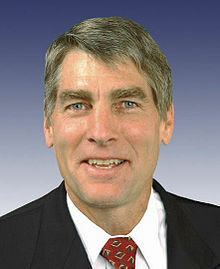 Udall’s qualifications to serve as a Clinton administration Global Warming Interior secretary are unquestionable. He has no qualms about hanging a giant “No Trespassing” sign across western public lands, killing the oil, gas, coal and mining industry, running ranchers off public land, blocking construction of new hospitals and schools because of endangered snails, and snatching away private water rights that would threaten the skiing industry. A Udall regime would have no love for Colorado, where voters rejected his reelection bid. We can’t think of a more horrifying scenario, or better reason to vote Republican.